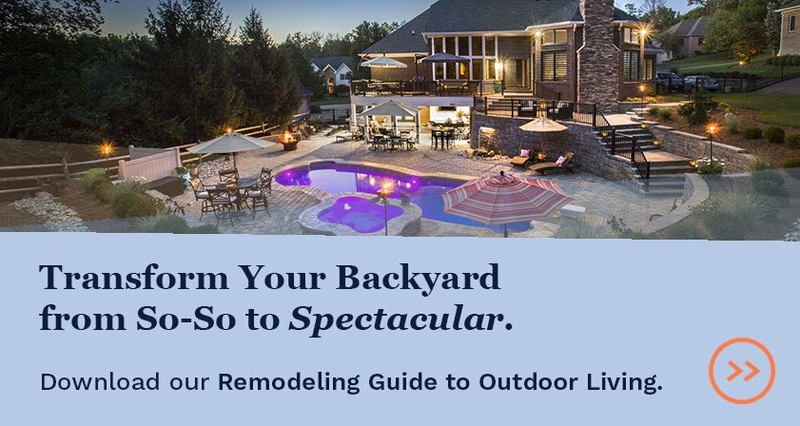 Outdoor living extends the function of our home's property by providing useful areas to hang out, grill out, and chill out, outside of the house. A key element of creating functional outdoor living spaces is to accomplish the goal of extending the square footage of the home to the outside to be enjoyed in a variety of weather conditions. In the examples below, we've highlighted before and afters that showcase how an exterior space can be enhanced and enjoyed, rain or shine. 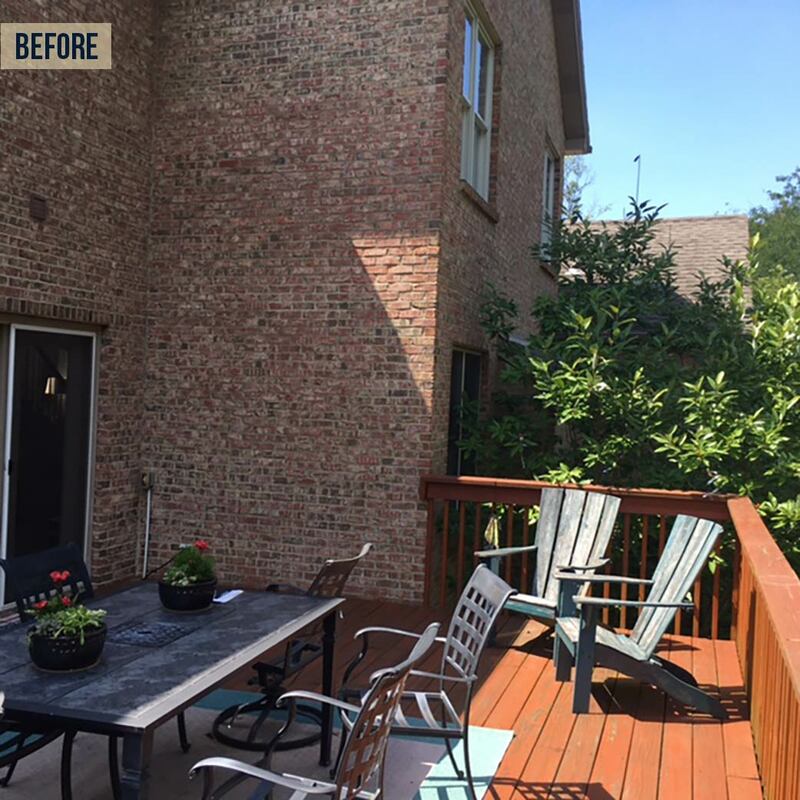 This Blue Ash back yard had space and a nice setting, but without an outdoor living space, it was hard to get the most out of it. Taking advantage of an existing back door, a new covered patio was created to bring more value to the back of the home. A wood-clad vaulted ceiling accommodates a fan to help keep the space below comfortable in the summer heat. A new outdoor kitchen was included as well to maximize the new living space's function. See more images from this Blue Ash remodel. 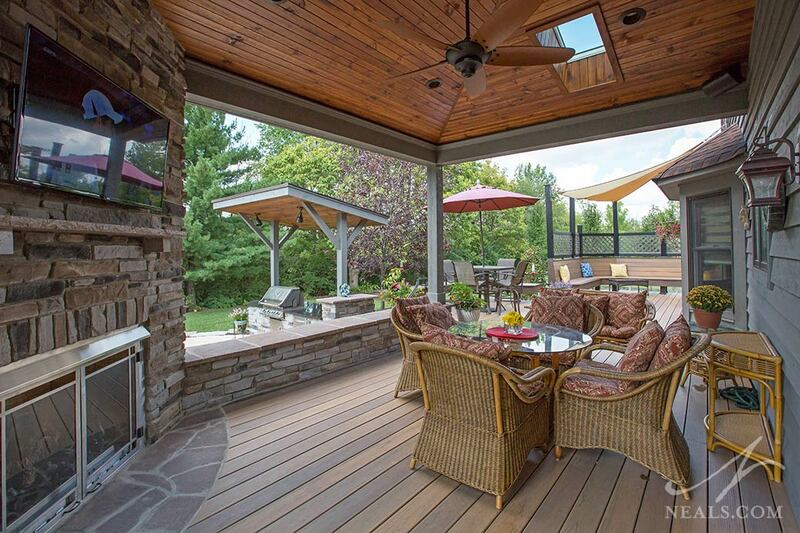 Lack of a covered outdoor area is a common reason why many local exteriors go largely unused. 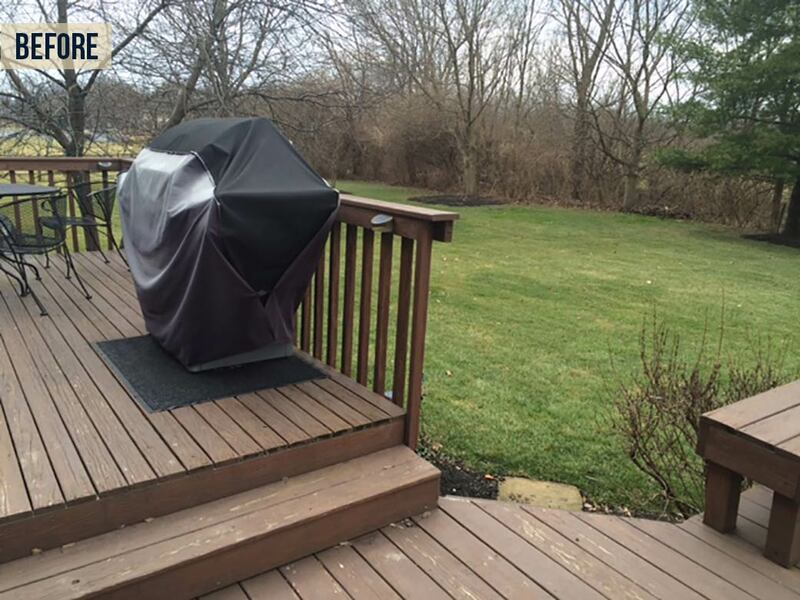 This Liberty Township home had a patio, but had to rely on the shade from the house. To make the deck more comfortable and improve the aesthetics for the home's back facade, a roof was installed over an enlarged deck. 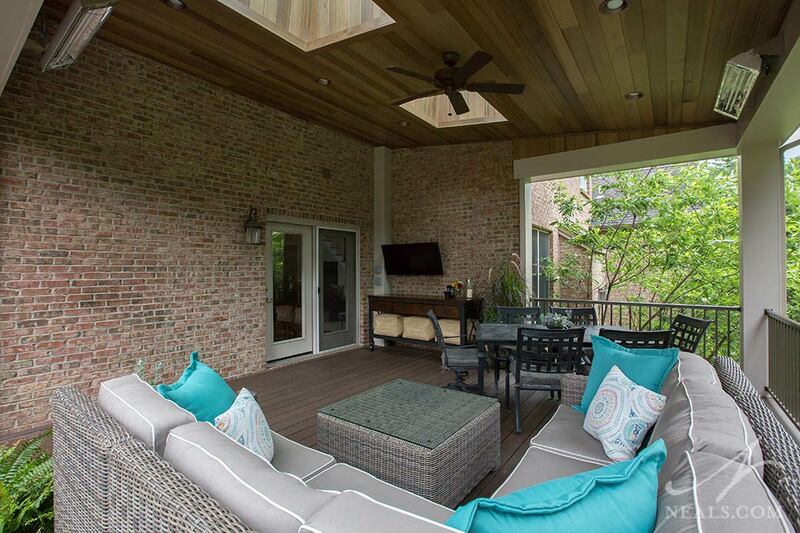 Skylights increase natural light underneath, and a fan and space heaters mean this outdoor room is ready for any season. 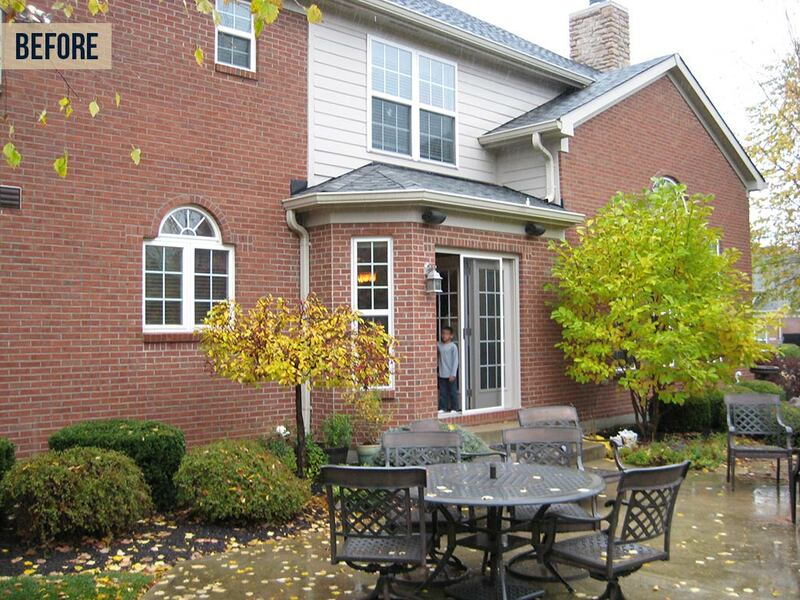 See more photos from this Liberty Township remodel. Some homes already have an exterior space, but it doesn't quite suffice. 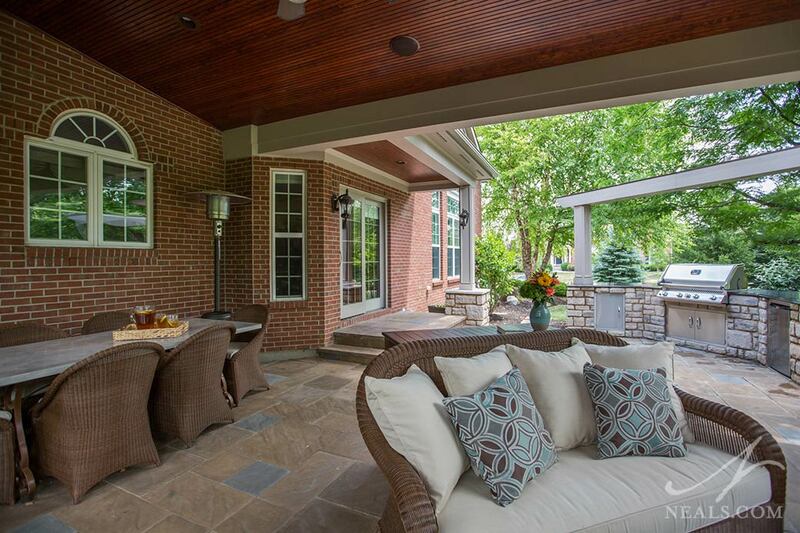 In this Montgomery outdoor living project, an existing screened-in porch was opened and extended to create a new open veranda. 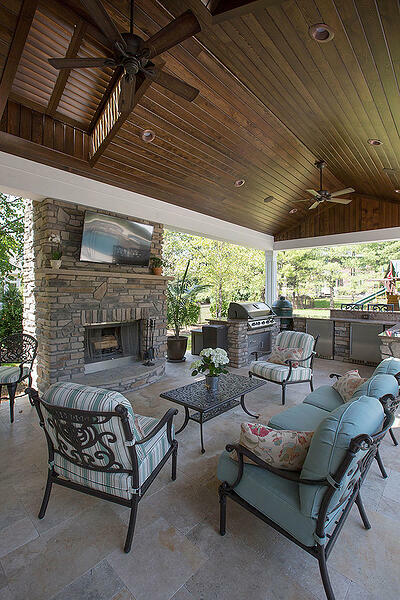 The new outdoor room is an accommodating space with an English style fireplace and a fully-equipped outdoor kitchen that makes any grill-master swoon. Easy access to the yard and pool make the new veranda ideal for family gatherings. See more photos from this Montgomery remodel. 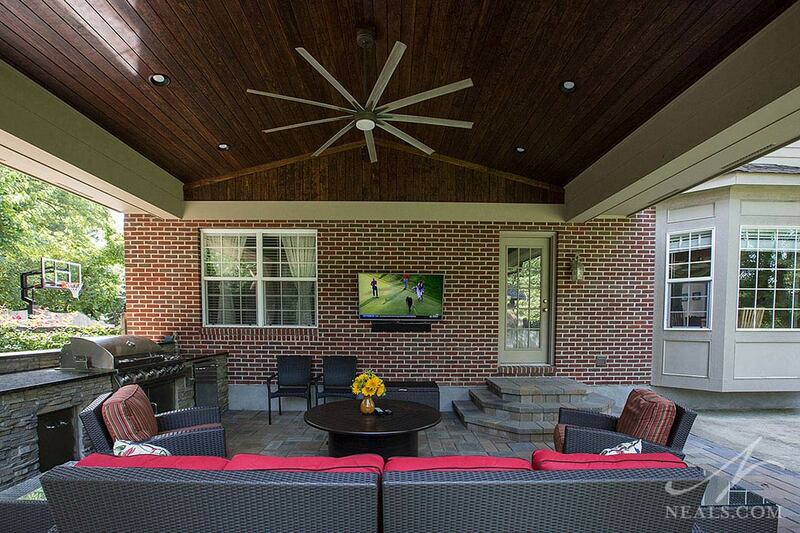 This West Chester yard had a multi-level deck, a large yard, and a nice view, which were all nice amenities. When it came to enjoying them, however, they left a lot to be desired. The new outdoor living space is a portfolio of unique features and various zones that take the simple deck to the next level. A living room, a semi-shaded deck, a dining deck, grilling area, fire circle and a thoughtful layout and landscaping make this a space worth using. 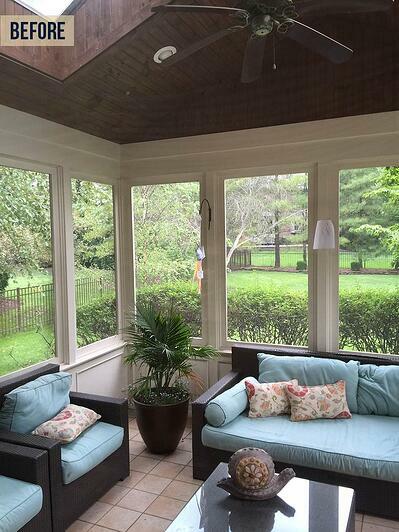 See more photos from this West Chester remodel. 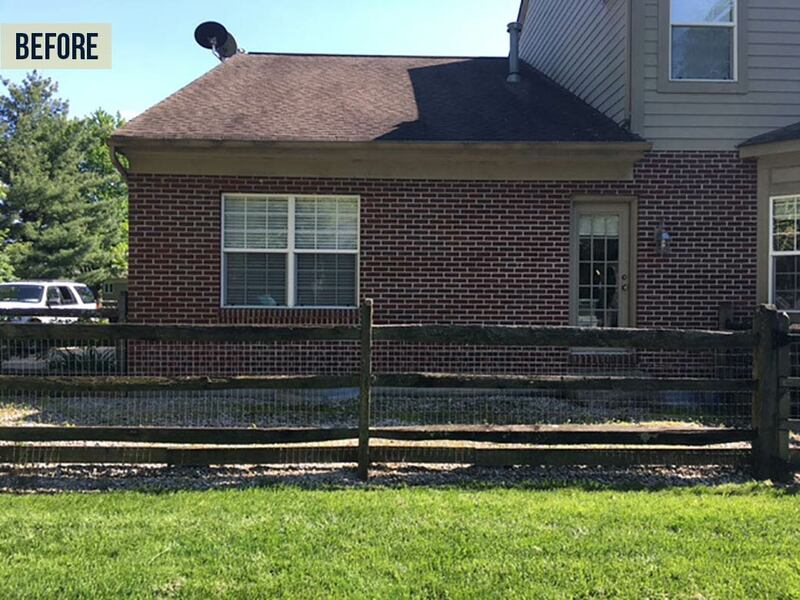 As with the other projects we've shared above, this Mason home lacked outside function by not including covered areas in which to enjoy the yard and patio. This also created an odd free-for-all feeling on the patio with no clear zones. With the addition of a stylish and spacious structure attached to the home and a secondary area for grilling, there's no more confusion on the patio. The structure also includes a fireplace to create a comfortable living area right out the back door. See more photos of this Mason remodel.